but is it all a little BEWILDERING?? Maybe you are curious about electric cars, or maybe you've been thinking about getting an ELECTRIC CAR or PLUG IN HYBRID for your next car, but you have questions. So...why doesn't my local DEALERSHIP know this stuff?? 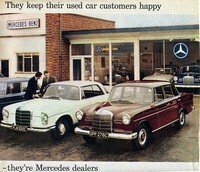 Well, after a little thought I decided that the dealers are probably partial to hayburners (or gas guzzlers, gas gulpers, and gas gobblers – you get the idea!) because they make a lot of their money on aftermarket parts. Electric cars are a money loser for them in that sense: our cars don't tend to break down and they sure don't need much maintenance. Good for you and me, but not so good for the sellers of grease and goo and auto parts. Automakers are still making wads of money the old way, selling yesterday's cars. Why would they want to change? Several years ago now, a documentary filmmaker named Chris Paine showed us how the automakers and oil industry had conspired with politicians to "kill the electric car", to deprive us of even the OPTION of buying our beloved cars, and what we saw in his film made us really mad. Lots of us got busy and fought back. If you saw Who Killed the Electric Car? and got mad, too...come on in. You're in good company. Ready to take a test drive? Happily, now there are a lot of ways for you to get your hands on an electric car. 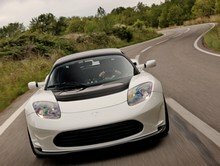 The regular automakers, including Tesla, Nissan, Ford, BMW, Mitsubishi and Chevy are offering quite a few electric powered cars now; some are all electric, like the Nissan Leaf, while others like the Chevy Volt also use gas so that if you run out of charge you are not out of options. Conversion shops across the country are offering their services to turn your gas-gobbler into an electric vehicle. You can build your own electric car. Lots of folks with no prior experience or special skills have built or converted their own electric cars. 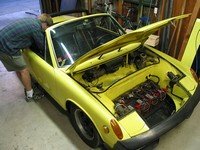 There are electric car kits available using fiberglass bodies (think Porsche Spyder replica – delicious! ), AC electric motors, and lithium batteries. These are brand new cars, not conversions, and they are built by small local businesses. Come on in and have a look around, take your time. You'll find lots of reliable electric car information and interviews with my friends at conversion shops, electric vehicle motor and lithium battery suppliers, automaker spokespersons, and folks who have built beer-budget electric vehicles in the backyard. Interested in converting your gas-gobbler to electric, and wondering where to start? ...and other conversion-related things. Don't be shy, jump right in! Did I mention that electric cars are fun?? Our best kept secret is that they're really, REALLY fun to drive. Try it once and you'll never want to give up the keys.